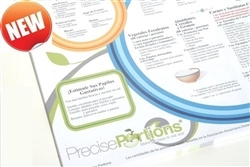 Precise Portions presents the all new 100% compostable, fully microwavable 16 oz portion control bowls. Camping, outdoor parties, indoor parties, office parties, picnics and patio parties can now be more fun filled with the inclusion of soups, gravies, cereals and semi-solid foods. Imagine having delicious custard for dessert at an outdoor party. 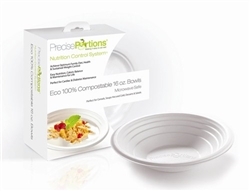 Thanks to the Precise Portions 100% compostable, fully microwavable 16 oz portion control bowls, you no longer have to stick to typical picnic food including drab sandwiches or dry, ‘manageable’ food. Our 100% compostable 16 oz portion control bowls are not only microwave safe, they are also freezer safe Ð so go ahead and create those wonderful desserts you had in mind. Each of our 100% compostable 16 oz portion control bowls has indicator levels in 4 oz increments. 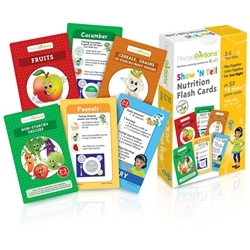 This makes portion control even more precise Ð no measuring, no weighting and no guesswork! Apart from being microwave and freezer safe, our 100% compostable 16 oz portion control bowls are also oil and cut resistant which also means that the bowls are strong enough to hold 16 oz of liquid or food without the slightest danger of buckling or breaking. 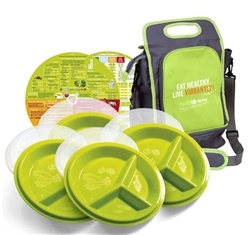 Using our 16 oz environmentally friendly portion control bowls at any outdoor party not only brings in diversity in the choice of food available, it ensures your family and guests eat right while at the same time providing you the convenience of heat-and-serve or microwave-and-serve food without adding to your after-party chores. So go ahead and organize that outdoor picnic or party that you’ve been wanting to for ages. Our all new 100% compostable, fully microwavable 16 oz portion control bowls will not only add to the fun element, it might even lead to several guests opting to try out a better, healthier lifestyle. 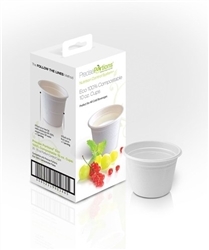 Each box is attractively packaged and contains 25, 16 oz, fully microwaveable, 100% biodegradable portion control bowls.